"June is busting out all over..."
Finally, after living in Savannah for six months (come tomorrow), within the last month my "social calendar" has really started to fill up. On Friday I went with a neighbor, L, to the opening show of a new gallery called Dimensions. The first show wasn't exactly up my alley, but the gallery itself has potential and I will be returning to peruse other upcoming shows. Savannah is so small town that even The South Magazine was at the opening. From the gallery we walked over to the tavern downstairs at The Olde Pink House. Which we've decided will be our neighborhood bar, despite it being a good 15 minute walk away from the street on which we reside. But unfortunately we forgot it was a Friday and there was a good hour wait to get a table. So we headed to Six Pence Pub (where a scene from the movie "Something to Talk About" with Julia Roberts was filmed) for scotch and a reuben (my neighbor) and a whiskey sour and bangers and mash for me. I hadn't a clue what bangers and mash was until that particular evening when I discovered it was sausage and mashed potatoes, which was also served with a side of collard greens. Everything was intensely salty but still good enough to go back a second time. Saturday I worked at the shop until six then that evening went to Mercury Lounge to hear a blues band play and have some drinks with the same neighbor from Friday (L) and a woman who just moved into the parlor level of my townhouse (M). A great bar, and I will be going back. Savannah, in addition to being a city where you can walk around with alcohol in a to go cup, is also a city in which you can still smoke in bars. Which is refreshing, but the downside being my clothes and hair smelled god awful when I returned home later that night. Sunday morning I was invited to attend a Baptist church with a woman in her 70's who I work with on weekends at the museum gift shop. The church congregation was made up of a sea of white hair and the choir almost outnumbered the congregation. But I had a good time nonetheless. After church I was invited out shopping with L and M. We headed to the south side which is made up of miles of strip malls but after days upon days of only ever seeing ancient buildings it was almost refreshing to be out in suburbia. Today I had off from work so I made plans with my coworker S to grab lunch and see Nancy Drew. Which was actually delightful. From Nancy's clothes, to her roadster, to her quirky sidekick, I adored it all. I'm finding it extremely hard to believe that I have already been living in Savannah six months now. I'm starting to feel more and more at home here, especially as my circle of friends grows. I'm still not used to the cockroaches. As you would expect the South to do, they've given cockroaches the more dignified name of "palmetto bugs". Whatever one calls them they're still disgusting. Nor am I used to the heat and humidity which is only going to get worse before it gets better. I haven't started using terms like "fixin' to" or "all ya'll". But I have started drinking too much sweet tea and realizing that there's no need to be in such a hurry. Things just move at a slower pace here in "Slowvannah" and I'm really liking that. Plus I'm living on the prettiest street in America, so says Better Homes and Gardens, and that I'm REALLY liking. Let me set the scene, cobblestone streets, oak trees, spanish moss and in the background church bells playing "I Wish I Was in Dixie". Today I saw and held my first black American Express card, which is believed by some to be only an urban legend. But believe me, the card, made of titanium, does indeed exist. Although I've been sworn to keep mum about the identity of the cardholder, I will tell you this, all she bought was 4 books. She definitely did not fall into the "hey big spender" category of clientele. 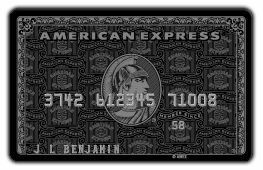 "The Centurion Card, popularly known as the Black Card, is American Express' most exclusive charge card and is the most sought after charge card in the world. By invitation only this card provides access to a range of exclusive privileges. 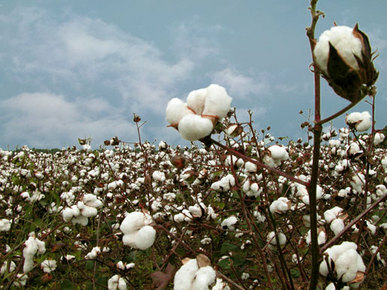 The card requires minimum spending (spent and paid) of $250,000 within 12 consecutive months." I first discovered Sea Bags when I started working at a shop here in Savannah that carries the nautical bags. Sea Bags are made from recycled sails and assembled in Portland, Maine. "Each bag is designed and inspired from the sail itself and all vary in texture and fabric. The handles are polyester nautical rope and are hand spliced. The bags are sturdy and the perfect combination of form and function. Every bag has sailed around the world before it even leaves the shop." The bags have recently been featured in Domino magazine and on the Martha Stewart show in a segment about Martha's favorite items from Maine. The bags are durable, water resistant and washing-machine friendly. The bags are "not only treasured by all who have a love for the nautical presence, but also the people who firmly believe in recycling to help preserve our environment." 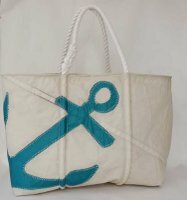 Sea Bags come in small, medium and large and a variety of designs (stars, numbers, letters, stripes, anchors etc.) and colors. At the moment I'm crushing on the medium bag with the teal anchor. These are the ideal bags to take with you to the park, beach or farmers market this summer.